“A Game To Remember” #RS17 #Sackville Feb 1 | Sack-Vegas!!!! 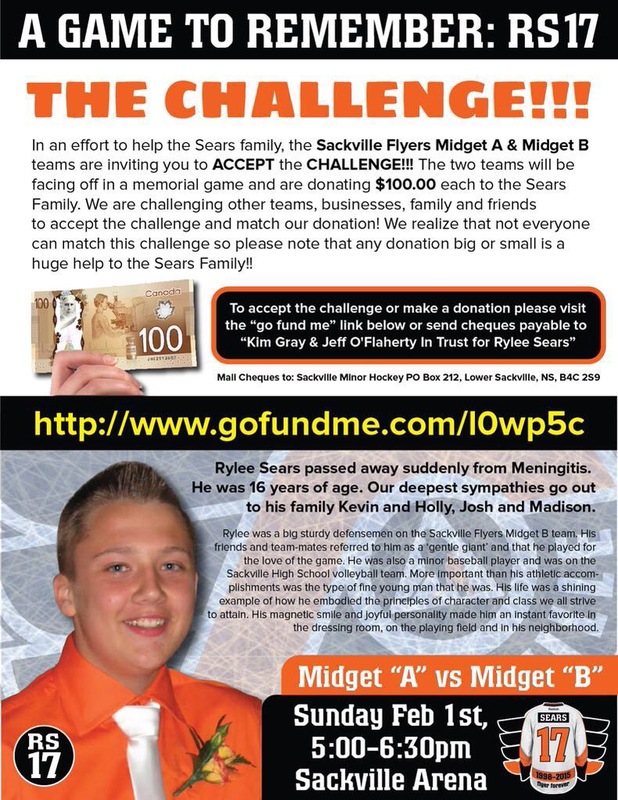 Head in down to participate in honoring Rylee Sears. Our community is in mourning and this is a wonderful way to celebrate this young man’s life. Posted by Sacky on January 29, 2015 in Uncategorized.